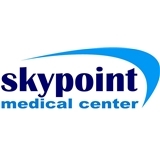 Skypoint Medical Center (Schaumburg) - Book Appointment Online! Being happy and healthy are some of life’s most prized achievements. At Skypoint we strive to help you attain better health and a happier life through excellent clinical practices & exceptional patient care. We will help guide you step by step in your journey of medical treatment and personal health so you can get back to your life. The doc was very courteous and listened to what i had to say. A quality i really appreciate. She gave good tips on how to take care of my problems and gave some really good info i didnt know about. Very caring, concerned & thorough with my issues. He gave me lots of usful information. I'm always very comfortable to be open & honest with Dr. Z.